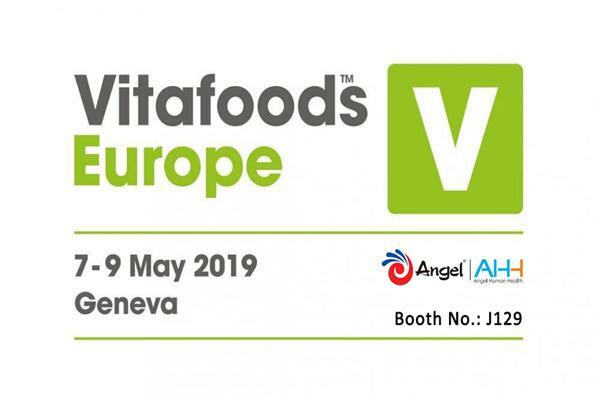 Yeast beta-glucan is a polysaccharide that exists in the cell wall of yeast, numerous clinical studies have shown that it can stimulate the human immune system by enhancing the activity of macrophages and other immunocompetent cells. Besides, it is able to accelerate tissue repair. Yeast Essence C90is partly carboxymethylated yeast beta-glucan, which is water soluble and has the same functions as yeast beta-glucan when used in cosmetics. 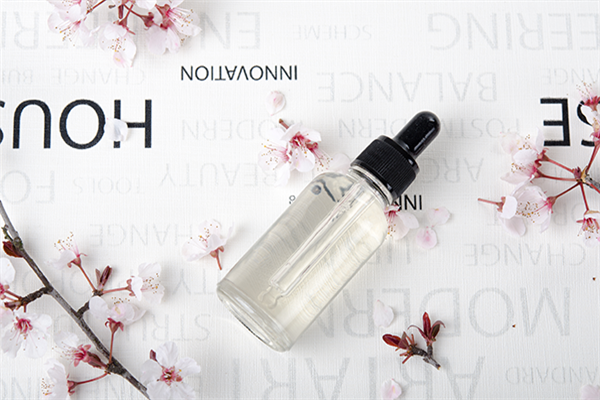 It can greatly revitalize the skin’s defense system, enhance the natural repair processes and reduce the sensitivity of the skin. Immediately below the surface epidermal layer of your skin, you have Langerhans cells. These incredible immune cells have the power to stimulate collagen production, increase wound repair, defend against external threats such as sunlight, smoke, environmental assaults, and mitigate the effects of stress, all of these lead to remarkable reductions in the ugly appearance of wrinkles, blemishes, age spots and other skin problems. The miracle of C90 comes from its unique molecular structure. When applied to skin, it can quickly penetrate the epidermal layer and come in contact with the Langerhans cells, instantly switching them on. The biological activity of beta-glucan is determined by its molecular structure which depends on its origin (yeast, oat, wheat, fungi). Beta-glucan from yeast was shown to have the most potent immune-enhancing capability. Beta-glucan isolated from yeast is insoluble in water and therefore not suitable for cosmetic use. Thus, Angel developed Sodium Carboxymethyl Beta-Glucan, a biologically active beta-glucan derivative which keeps the same biological activity as beta-glucan. 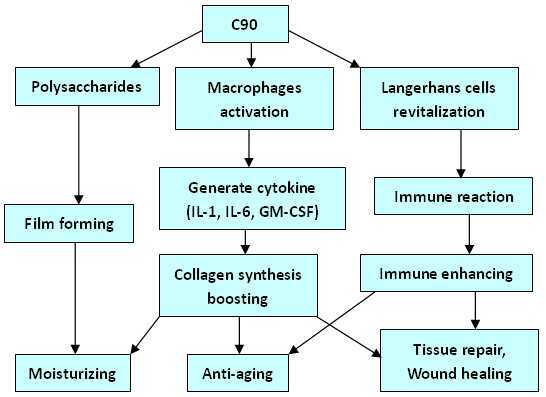 Langerhans cellsactivated by C90 can stimulate the generation of cytokines, such as leukotriene, interleukin and colony stimulating factor(CSF), further promote the functions of phagocytosis, anti-infection, cells activation and T- cells proliferation. UV-rays in the sunlight can cause skin erythema and damage, and accelerate skin aging. C90 (5% in formula) can obviously accelerate the skin repair from sunburn, decrease the skin erythema, damage and aging. 32 volunteers aged from 35 to 65 took part in the tests. The formulation of C90 at a concentration of 5% was used as a treatment on the volunteers' arms for 4 weeks. Every week the skin was tested to determine the skin average roughness (SAR). 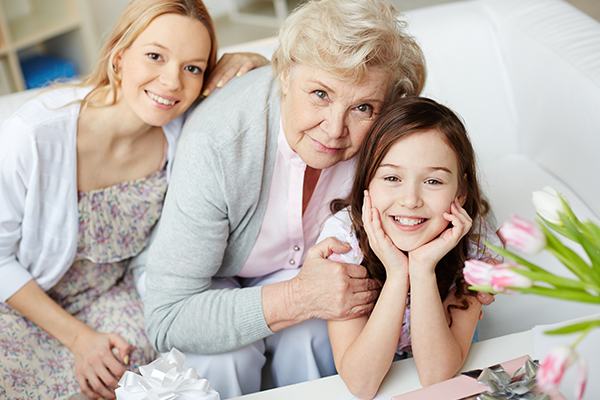 The results showed formulation with C90 was effective as an anti-aging agent when compared with the control group. 30 volunteers of random gender at random agetook part in the tests of Transepidermal Water Loss (TEWL). The formulations of C90 at a concentration of 5% were used as pretreatment on the volunteers' arms for evaluation of skin humidity protective effects. The results showed that C90 significantly decreased the skin humidity loss compared with the control groups. Yeast Essence C90 can be stored for at least 24 months from the date of manufacture in the unopened original container protected from light in a clean place at a temperature between 2 and 10°C. Keep package tightly closed. Once opened, use contents quickly. In order to avoid secondary microbial contamination, following opening, containers should be handled with special care.